In the past 6 years there has been a determined effort in the systems safety critical industries to adopt 3D printing as a toolset for prototyping and the production of highly customized proprietary parts. For instance in November 2014 a space conditioned 3D printer was included in the payload delivered to the International Space Station. This experimental 3D printer demonstrated for the first time the possibility of manufacturing in Zero Gravity and the potential use of an earth-delocalized facility to produce parts for deep space exploration. 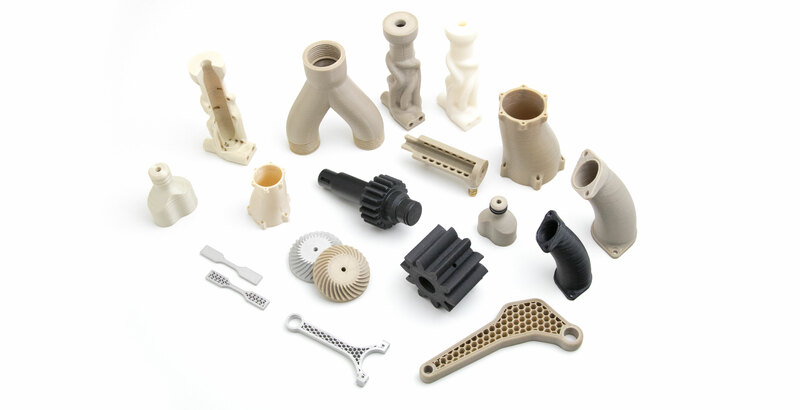 As materials play a significant role in the field of additive manufacturing, the available 3D printable materials have been inadequate for high-end applications in the aerospace industry. Space-tolerant materials therefore needed to be made 3D printable to be able to overcome some of the challenges faced by mankind as they work at exploring our solar system. With the introduction of affordable cost-efficient 3D printers capable of processing high temperature polymeric materials such as PEEK by Apium Additive Technologies GmbH in 2015, the frontiers of 3D printing technologies were significantly extended. Apium’s Materials Extrusion (ME) 3D printing technology offers opportunities for the processing of pure polymers as well as polymer matrix based materials filled with a metallic, wood or other polymer material. Apium`s 3D printers are designed to handle the materials formation processes inherent to thermoplastic polymers namely nucleation, crystallization (for semi-crystalline types) and growth of the thermodynamically driven phases. This advanced processing opportunity gives the aerospace industry the confidence to embrace additive manufacturing as a tool for the fabrication of functional parts deployable to real engineering applications. Apium has made it possible for ESA to gain value-oriented insight to processing of high temperature polymeric materials using 3D printing technology. The work currently being pursued under the supervision of ESA’s Space Materials and Technology Specialist; Dr. Ugo Lafont, using Apium`s Materials Extrusion (ME) 3D printing technology to print PEEK parts is without a doubt a key advancement for space research. PEEK is a front-runner in the industrial materials world. Dr. Ugo Lafont uses PEEK due to its “thermal stability and good mechanical performance”. Dr. Lafont and his team have been testing with Apium PEEK 450 Natural together with a conductive PEEK, developed by ESA, to fabricate the entire orbit-inspired CubeSats; orbit bound nanosatellites. These nanosatellites are inexpensively fabricated with Apium’s 3D printer HPP155. Furthermore they have been using Apium`s technology to 3D print pure and carbon fibre reinforced PEEK for structural and mechanical load bearing applications since 2015. This clearly attests to the industry-readiness of Apium’s Materials Extrusion 3D printing technology thus opening an additional path to its application in other safety critical aspects of industrial applications. The benefits of adopting Apium`s Materials Extrusion 3D printing technologies in the space exploration field supersedes that for any other 3D printing technologies. This competitive edge is attributed to the general technical ease of handling of the ME technologies relative to others. The ability to make use of location-resident materials (as on the moon and other planets) incorporated into a thermoplastic binder matrix as well as the lack of need for support systems (gas or waste handling) make the ME technology space-convenient. A manufacturing system of this form creates invaluable opportunity of laying down manufacturing frameworks in space. This prospect already makes possible a great deal of saving for the space industry where the cost of payloads can be inherently high; 4,000 USD to 19,431 USD per kilogram. Apium is forward thinking; our agenda for the space sector is far from “Blue-Sky” research and so we are inviting the agencies to work with us through their needs. The Apium P-Series Materials Extrusion machines allow user-defined specifications. Advanced materials considered in the performance designs of the Apium P-Series printers and documented printing job protocols will be unmatched in quality; indeed for the first time in this category of technology.